We all know Subaru Rally Team USA has been a dominant force in Rally America for a long time. However a late entrant to the Oregon Trail Rally may mix things up a bit. Many Rally America fans will recognize Polish native Art Gruszka’s big Green APU truck in the service park and his Mitsubishi RS he debuted last year. The unusual little car looks a lot like the current WRC or R5 spec machines, but is a private development project. Unfortunately Art had a series of mechanical DNFs last year as development progressed, which is where Bryan Bouffier comes in. 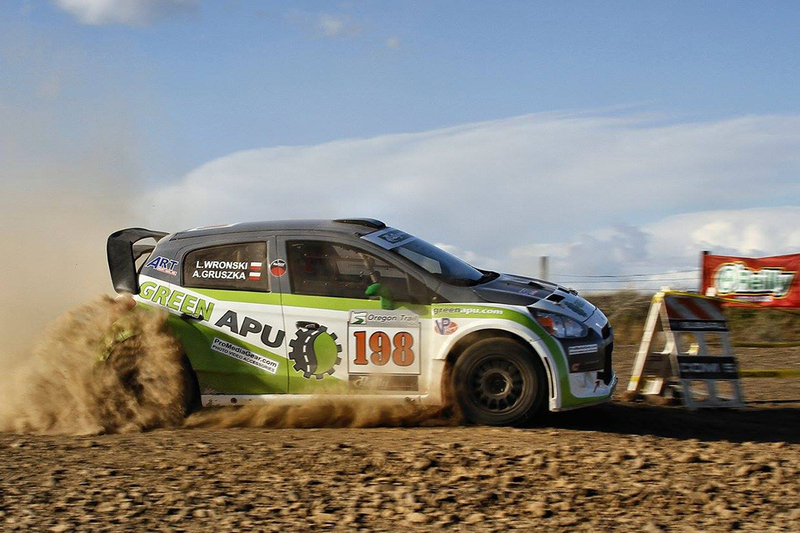 Those of you that follow the World Rally Championship may recognize Bryan Bouffier. The 37 year old Frenchman is mostly known as a tarmac specialist with such accomplishments as winning the French Rally Championship in 2010, winning the famed Rally Monte Carlo in 2011 when it was part of the IRC, and a 2nd place finish against top WRC competition in Monte Carlo in 2014 behind none other than current multi World Champion Sebastien Ogier. Bouffier is also known as a reliable test driver having recently worked with the Hyundai WRC team to test and assist with their Hyundai i20 WRC. 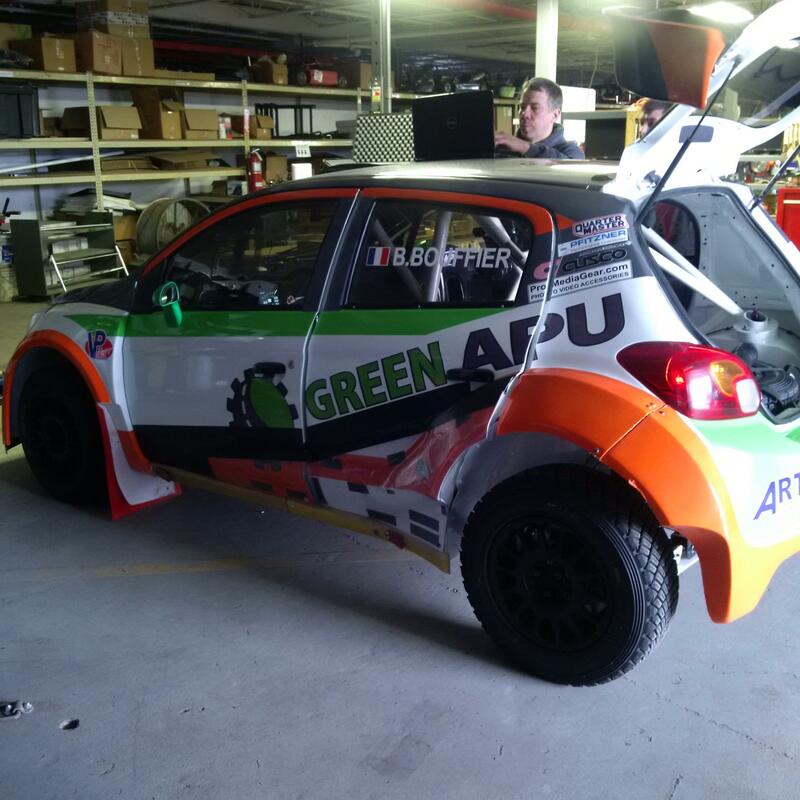 Now Bouffier has crossed the pond over to the states to work with Gruszka and is going to drive the Green APU Mirage RS at the Oregon Trail Rally. Although the “little green machine” was off the pace last year, having someone of the caliber of Bryan Bouffier and his experienced co-driver Xavier Panseri in the car would lend one to believe that significant development improvements likely occurred in the Mirage RS during the off season. Bouffier certainly has the resume to be competitive with Higgins and Pastrana, but will the car be up to the task and bring back the Subaru vs. Mitsubishi rivalry of years gone by? 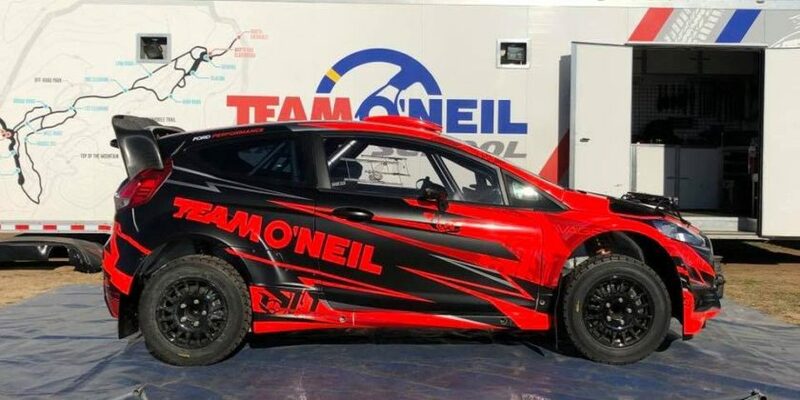 We’ll soon find out as the Oregon Trail Rally kicks off this Friday April 22nd at Portland International Raceway and continues in Goldendale and Dufur on Saturday and Sunday. Following next weekend’s Oregon Trail Rally is simple, just check out the event’s Twitter and Facebook pages. 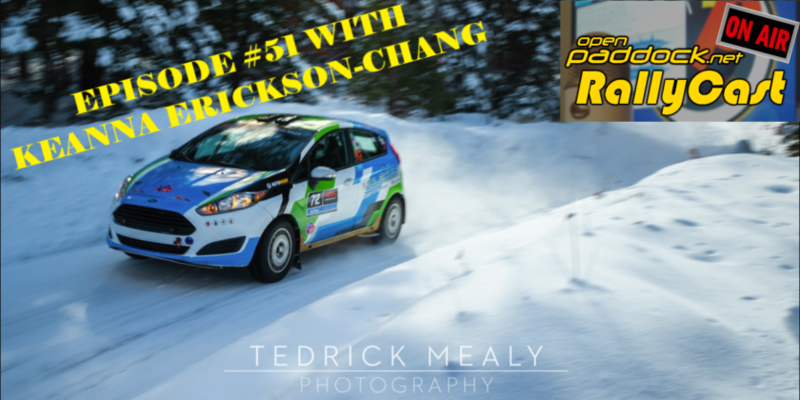 Rally America will have their own updates on Facebook, Twitter, and Instagram feeds. Hashtags for the event will be #OTR, #RallyAmerica, and #RA3. 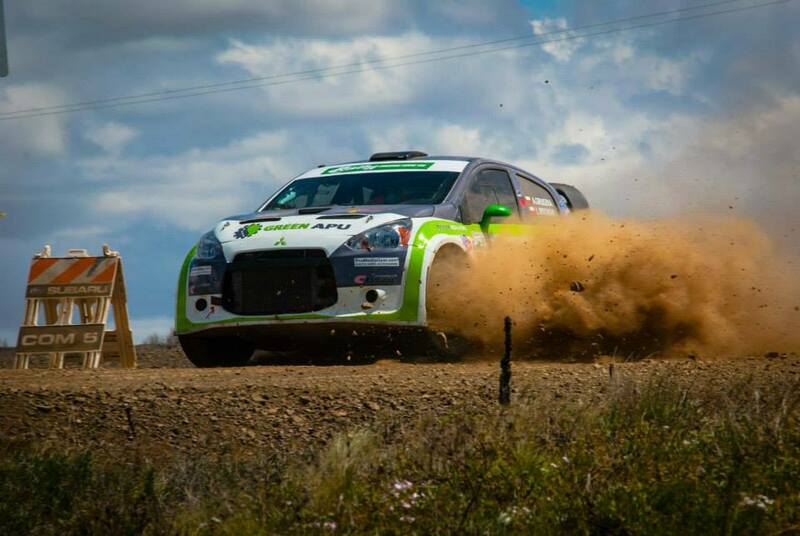 Bryan Bouffier and the Mitsubishi RS – The Threat to Subaru is Real!